The holidays are a good time to grab a coffee with people you haven't seen in a while. Being the kind, caring person you are, you'll obviously want to pay for their coffee. So, you'll want to grab this coupon. It will make you look like the nicest person in town even though you didn't actually pay for their coffee. Starbucks is offering a buy-one-get-one (BOGO) deal on "hand-crafted coffees" through December 24. To get the coupon, just head to the Starbucks site and drop your phone number into the correct field. 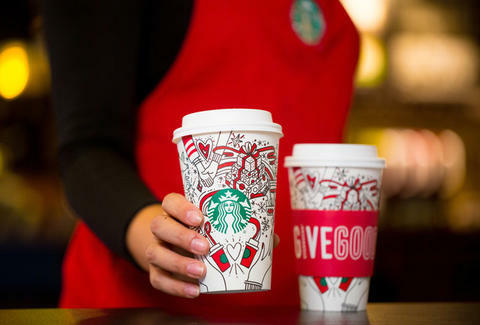 Then, those nice people with the holiday cups will text over your BOGO coupon. The coupons are good anytime between 2pm and 5pm daily until December 24, and, of course, the free one is going to be the drink that costs less. If you order a regular coffee, you won't get that Christmas Tree Frappuccino for free. The coupons can only be used in-store and are not compatible with orders placed through the app. Though, you wouldn't be paying for any of this if you won free Starbucks for life, which is a thing you can win right now.